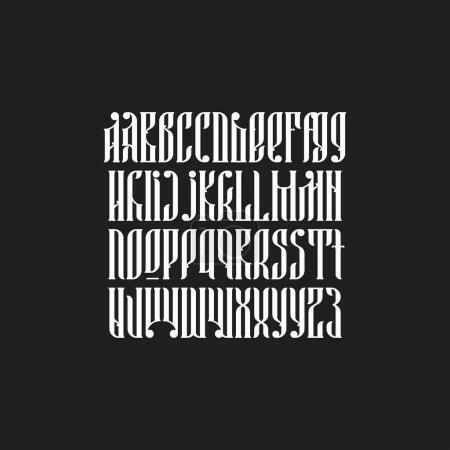 Authentic slavic typeface Balalaika. Custom type vintage lettering font. Stock vector typography for labels, headlines, posters etc.